You may think we just clean London properties and businesses on the inside, but actually, we do a whole host of other jobs to help you keep on top of things. One of the tasks we love to do is clean and maintain the outside of your London property or business too! Autumn is the perfect time to get your outside area ready for the colder winter temperatures so that come spring, it can burst into life and leave you some time to enjoy your garden. There is much that can be done in your garden to help prepare for winter, and we have compiled a little checklist to help you get your outside space in tip-top condition. Autumn is the last time this year you’ll be able to add colour to your garden. The soil is still warm from Summer, but damp, and so it is the perfect time to plant bulbs, allowing them to root down, ready to bloom in Spring. Rose bushes also love to be planted in early Autumn, so they can settle into their new home before the frosts set in. A great sign to know your bushes and shrubs need cutting back for the winter is when the branches start to go yellow, cut them back to prevent them decaying over winter. You may be surprised to know that they can be cut back to around ¼ of their size, and this will actually help them grow stronger come Spring. A herbaceous perennial plant is classified as living for more than 2 years but die back in winter, with the roots surviving ready for spring re-growth. To make sure these plants survive and bloom again at their best come Spring, remove dead stems, and cut back so that they are nice and tidy. Cut your lawn for the last time in Autumn before the cold snap starts, it is also a great idea to use an Autumn fertiliser to give the grass some extra strength and frost resilience. Keep your lawn longer than 5cm though, as a law cut too short may be more prone to weeds and moss over the winter. Early Autumn is the best time to net over your pond, to stop any falling leaves from getting into the water. If you do get a build-up of leaves, these will slowly rot down and could cause blockages, plus a lot of debris for any fish or wildlife living in there. Save yourself time come Spring and prevent a dirty pond by netting it over for winter. Before it gets too cold and windy, make sure to bring any pot plants that won’t survive cooler temperatures inside. Also secure any wobbly fences, weak awning, and loose guttering to ensure nothing becomes damaged during winter, and ultimately costing you more in the long run. You’ll want to make sure you keep on top of fallen leaves over the Autumn, although they can be fun and look pretty when they first fall, they get damp and start to rot down becoming a nuisance. Autumn is the perfect time to start a compost bin, add leaves, grass cuttings, eggshells, Compost, gutters and tea bags to make a nutrient-rich compost for the Spring. Make sure your gutters don’t get blocked up with rotting leaves and debris, this can cause blockages, over spill, or in more serious cases, leaks through walls. So make sure all the guttering is clear and tidy. If you don’t have the spare time to get green-fingered this Autumn, but would love your garden to be in tip-top shape for winter and spring, Workbusters can help! We have a team that relishes getting outside and sprucing up the yard of London homes and businesses. 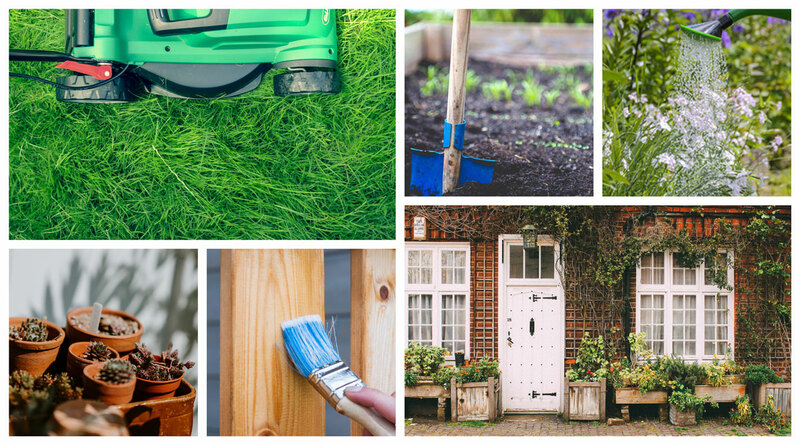 It’s not just gardening we do, we also clean and maintain your exterior, whether you’re a homeowner, landlord or business we can provide the services to make sure your outside space is fit for purpose. Here is just a small list of requirements we can help with, but please contact us with any questions or requests you may have, as we love to try and help. If you are a property owner or business in and around London, contact Workbusters today to come and clean inside and outside, you’ll be amazed at what we can do!